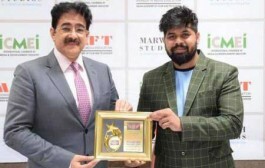 Itâ€™s a matter of great excitement that we have with us Sandeep Marwah President of Marwah Studios, the most well known media personality of Asia and a world record holder to share his experience with you allâ€ Jeno Hodi Director of Budapest Film Academy introduced Marwah in a master class. 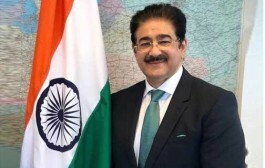 Talking to the students Sandeep Marwah also Chairperson of Indo Hungarian Film Association gave an overview of Indian Film Industry and discussed his own case study of being in media. Answering to the questions Marwah expressed his desire to go for joint venture and co-production with Hungarian filmmakers in the coming years. 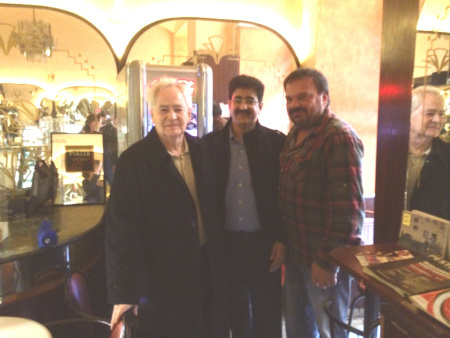 Sandeep Marwah invited students of Budapest Film Academy to come and direct short films in India for which Asian Academy of Film And Television is ready to provide complete infrastructure.